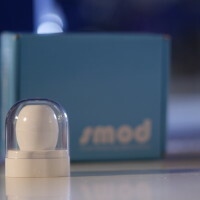 SMOD, the World’s only cell culture monitoring device, which delivers temperature and OD600 data to your PC without having to open the flask and take samples for bench top measurements, is now available from Cole-Parmer in the US. Contact your local representative to find out more about SMOD….. and revolutionise how you monitor cell cultures. Lifeonics introduces the unique SMOD™, real-time cell culture monitoring device. SMOD has arrived in India.